Browse: Home / Growing up! The kids are growing up fast! It’s fun to watch them learn and develop new skills right before my eyes. They have such determination and work hard for mastery, flashing joyful smiles when they accomplish their goal. 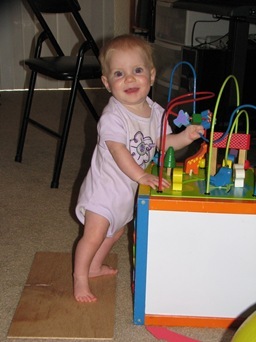 Flora has learned how to pull to a stand which adds a new dimension of fun to playtime! Shortly after learning to pull up, she started cruising and life became even more fun. She also loves to crawl up steps, over pillows and follow mom and siblings around the house. Flora has just begun to sprout her first tooth! She loves to eat and has tried many new foods, including peanut butter and m&m’s, lovingly shared by Ivy. One evening I took a bunch of water guns to the pool. In his desire to “shoot people” Lance decided to branch out into the big pool. He discovered it wasn’t as scary as he thought and now I can hardly get the kids to play in the baby pool. 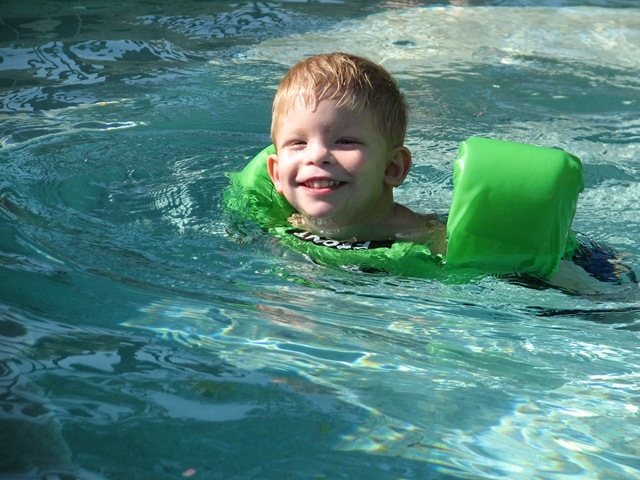 Lance loves his floatie and the freedom it brings is quite exhilarating! Ivy’s idea of fun is quite different. She has never feared the water and her propensity to jump right in has kept us ever watchful. Brian has been teaching her to swim and it’s finally taking hold. She’s getting better each day! 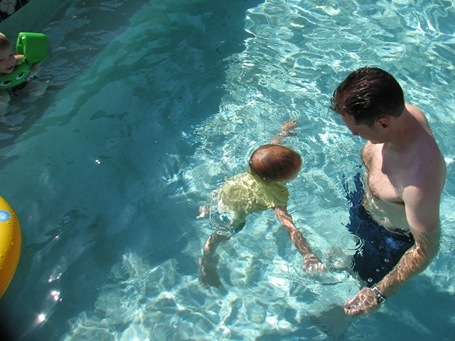 This was taken yesterday and shows the first time she gets her face above water (briefly) without help. This new skill is very exciting to her and she loves to practice. I am so blessed to watch the minute, ever changing progress of my children. You may see the highlights but behind each video is days and days of practice and failure. Their determination is awesome and their joy is contagious. Thank you God for living, breathing pictures of change. Impressive!! We loved watching them. Ivy reminds me of you all the time. 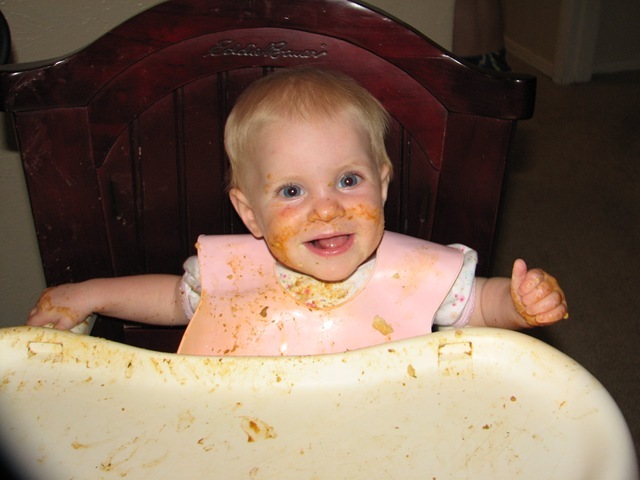 And Flora looks like my baby pictures in the high chair. You’re going to have a new walker (Flora) and two free swimmers in no time. They’re doing great. It is really fun to see their faces as they experience life.